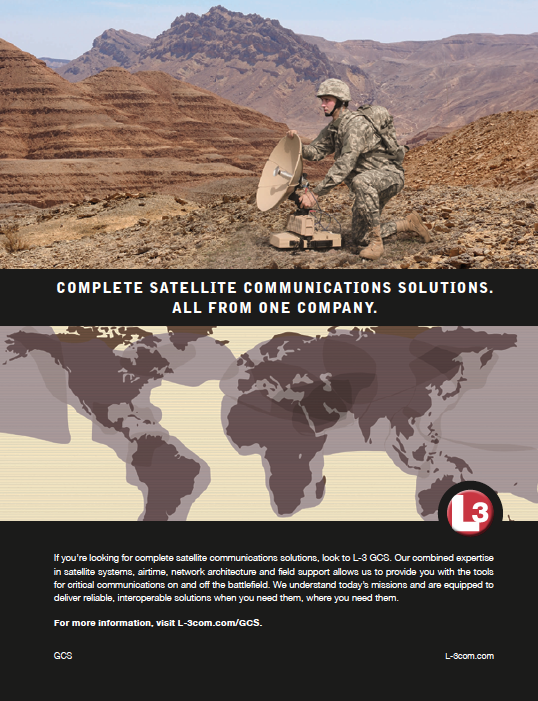 L-3 TRL Technology (L-3 TRL) has been working with Avanti Communications to provide secure Ka-Band satellite services to government and military agencies that use L-3 TRL’s CATAPAN® encryption devices for direct high-speed connectivity—coverage includes parts of Europe, the Middle East, the Caucasus region and Africa. 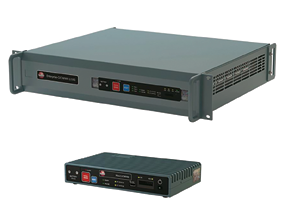 Ideal for high-demand government and military operations that require unlimited data transfer at super fast speeds (up to 10Mbps), the new Ka-band offering provides secure, cost-effective network options for users with multiple transportable and/or fixed nodes. 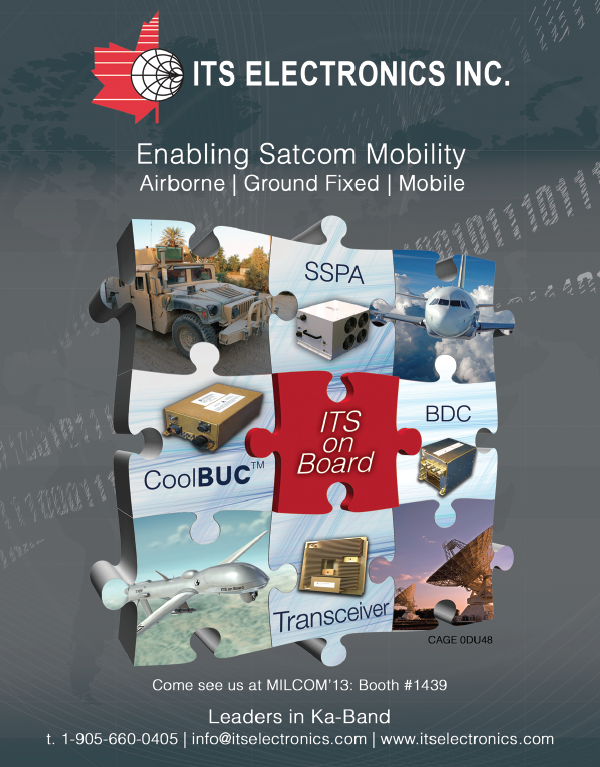 Options include transportable variants using highly portable antennas for rapid deployment and a fixed-site variant providing a cost-effective connection. Tailored uncontended packages are available, including dedicated bandwidth and occasional use packages. 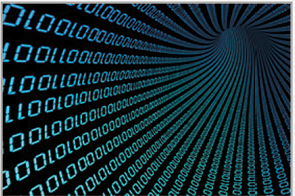 Shared contended bandwidth packages are also available. This allows the services to be configured to meet a user’s specific operational requirements. 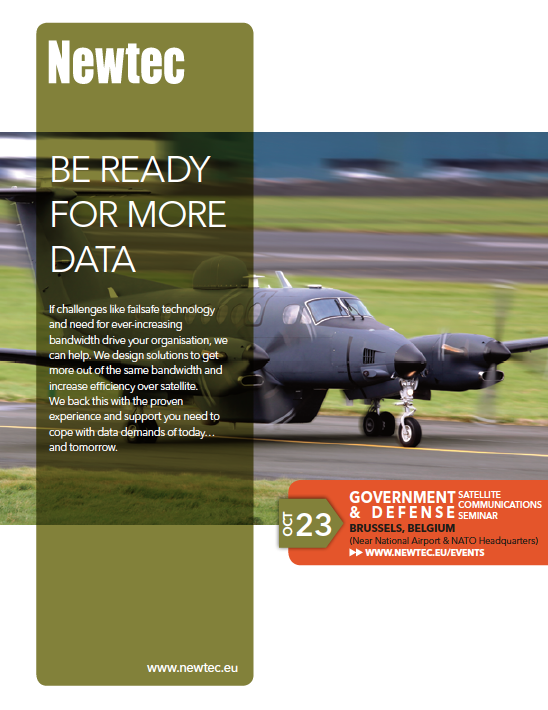 Ka-band is part of L-3 TRL’s CATAPAN Bundled Airtime Service packages, which are designed to work in conjunction with its CATAPAN government grade network encryption devices and COTS modem hardware to provide secure mobile communications. A number of “out-of-the-box” dedicated service packages are available to ensure the highest levels of security for individual operational requirements. iDirect Government Technologies (iGT), a wholly owned subsidiary of VT iDirect, Inc. (iDirect), has announced the launch of its Security Content Automation Protocol (SCAP) hardening scripts. SCAP is an improved information assurance (IA) compliance and security support service for network management systems, protocol processors and SatManage servers. Information assurance is a critical component of any organization’s information systems’ management strategy to ensure that data and systems integrity, confidentiality and availability are protected and available to support missions. Available to iGT’s premium iSupport customers, the SCAP hardening script supports secure networks by managing vulnerabilities and evaluating information assurance. 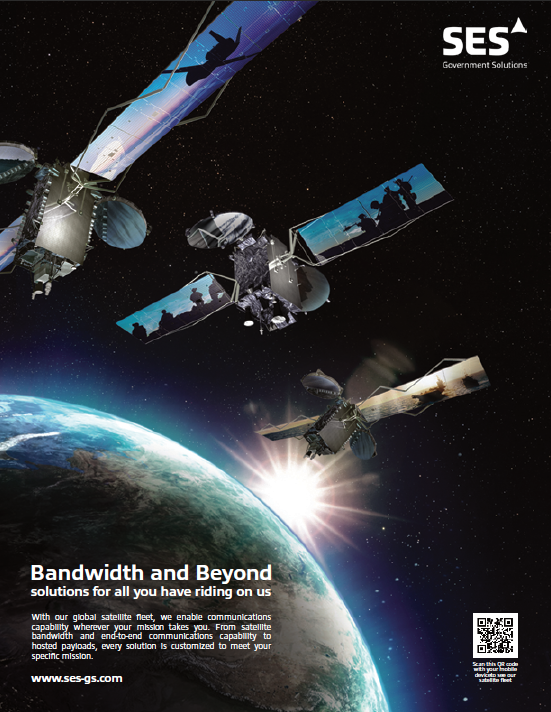 SCAP hardening scripts are now available for any iGT customer operating iDX 2.3, 2.3.1, 3.0 and SatManage 5.2.
iDirect Government Technologies (iGT) delivers secure satellite-based voice, video and data applications with anytime and anywhere connectivity in the air, at sea and on land. iGT’s advanced satellite IP solutions are used for critical ISR, airborne, maritime and COTM communications to support force protection, logistics, situational awareness, disaster recovery and emergency response. Building on more than 15 years of global satellite communications experience, iGT provides the most bandwidth-efficient, scalable and highly secure platform to meet specialized applications of multiple federal, state and local government agencies, including the Department of Defense, domestically and abroad. iGT is headquartered in Herndon, Virginia. Army Gen. Martin E. Dempsey has begun his second two-year term as the Chairman of the Joint Chiefs of Staff. The challenges are piling up—the arguments over the East and South China Sea as well as trying to cajole allies to see the wisdom of your ways. Some challenges he will expect, but others will crop up and he will have to deal with them along with all of the additional things he must attend to. Now, the money that was there when he first took office, is gone. In fact, instead of finding just $487 billion in savings in the defense budget, he needs to find an additional $500 billion—forcing a $1 trillion cut to defense. When he started his first term as chairman, he issued four priorities. The first was to achieve the national objectives that the military forces had—Iraq and Afghanistan, deterrence in the Persian Gulf and so on. Second was to build Joint Force 2020, which was a look to the future to build the capabilities we will need in the future and not just today. The other two priorities dealt with the profession of arms. “It occurred to me that after 10 years we needed to take a look at the values to which we claim to live to determine whether the personnel policies, training, deployment, all of that was contributing to our sense of professionalism or whether we had some points of friction,” he said. His final priority was keeping faith with the military family. Dempsey is an Armor officer by trade, and an English professor by heart and he is choosy about his words. “I chose family not families, because it’s not just spouses and children; it’s about veterans and it’s about the many young men and women who will transition out of the military under my watch,” he said. Himawari Operation Enterprise Corporation and Mitsubishi Electric Corporation have completed the ground operations system for the Himawari-8 and Himawari-9 weather data transmission satellites. L: Artistic rendition of the Himawari-8/-9 satellite. R: Ground system center. The Japan Meteorological Agency (JMA) plans to launch Himawari-8 and -9 in summer 2014 and 2016, respectively, to enhance public safety and security through relaying sophisticated weather data contributing to disaster prevention and monitoring global environment. The ground operations system designed, built and installed by Mitsubishi Electric, consists of antennas with a 9-meter diameter and radio frequency and satellite control equipment installed at the main unit in Hiki-gun, Saitama Prefecture, and the sub unit in Ebetsu, Hokkaido. Himawari Operation Enterprise and Mitsubishi Electric will soon begin comprehensive system tests and personnel training for satellite operations for Himawari-8 under the supervision of JMA. Mitsubishi Electric, which is contracted by JMA to build and deliver Himawari-8 and -9, received the manufacturing order for antennas with a 9-meter diameter, radio frequency equipment and satellite control equipment from Himawari Operation Enterprise in September 2010. Eutelsat Communications SA and Satellite Broadband Service Network Montenegro (SBS Net) have completed a satellite network connecting Montenegro’s police headquarters with the country’s six border control stations. The implementation is the first live VPN to use OneAccess’s satellite router, which delivers services via Eutelsat’s next-generation KA-SAT satellite. The new network delivers transmission speeds of up to 20Mbps download and 6Mbps upload and will enable the Police of Montenegro to benefit from the most advanced uses of an ultra-fast broadband VPN, including the rapid implementation of integrated backup and traffic offload solutions in highly secure environments. In March, Eutelsat and OneAccess introduced an innovative satellite router solution using next generation KA-SAT capabilities to deliver DSL-like satellite VPN services at DSL-like prices to the enterprise market. 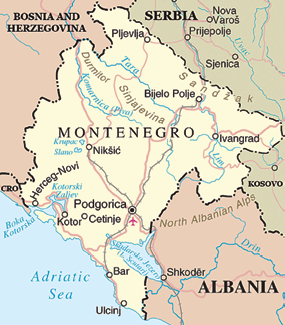 The solution enables the delivery of a variety of traffic acceleration, IP routing and IP-VPN secure transport services and has been specifically designed to meet the needs of organizations that require centralized control over geographically dispersed offices, like Montenegro’s police HQ and border control stations. The Bolivian National Telecommunications Company has awarded the implementation of 1,000 satellite telecenters to Gilat Satellite Network for US$ 12 million. The satellite will pack 30 transponders and is being built by China Great Wall Industry Corporation with a projected 15 years of service. Entel, Bolivia, will also invest another US$ 8 million to deploy base stations for coverage of the local route of the 2014 Dakar Rally race. Marines from 9th Communication Battalion, I Marine Expeditionary Force, conducted an exercise aboard Camp Pendleton, California, to prepare for operations in an expeditionary and deployed environment. L: Lance Cpl. Derek Heeter, field radio operator, 9th Communication Battalion, checks radio connection during a month long field exercise. 9th Com Bn., simulated a 1st Marine Expeditionary Brigade deployment situation. R: Lance Cpl. Domenic Redd, field wireman, 9th Communication Battalion, guards the main communication hub during a month long field exercise. Capt. David Burton, assistant operations officer for 9th Comm. Bn., supervised operations and assessed the Marines’ capabilities of providing communication to a simulated Marine expeditionary brigade situation. From the moment the Marines hit the ground, they have 48 hours to set up their equipment and establish communication. The Marines were successful in 47 hours. The 9th Comm. Bn., allows contact between forward deployed units and the ‘rear’, or stateside. Units would not have orders without the Marines performing exercises as they have during the month of September. One of the Marines ensuring mission completion was Sgt. Christopher McNeil, a server chief for 9th Comm. Bn. The communication exercise operates like a fire-team, McNeil said. One member of an infantry fire-team will push forward into an ambush and establish control. Once established, other members will pass the Marine in control to provide assistance further in the fight. McNeil said the ‘forward’ section of communication will land on enemy territory and establish connection. Once this is successful, ‘main’ will take over while ‘forward’ continues to press further in country. The ‘main’ then has the ability to communicate through satellites and talk to commanders stateside and the unit pressing forward. McNeil has been providing his experience and skills to the Marine Corps for nearly seven years and recently returned from Afghanistan, last December. “We have had some hiccups but it’s just a learning experience, something to take to the next field operation or next exercise,” McNeil said. 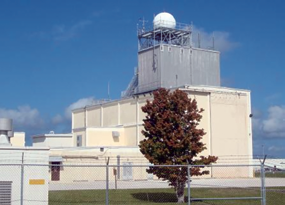 The 23rd Space Operations Squadron completed installation of an Automated Remote Tracking Station capability on its Eastern Vehicle Checkout Facility, call sign BEACH, at Cape Canaveral Air Force Station, Florida. The EVCF is responsible for launch-based compatibility testing and launch data collection, primarily on the Eastern Launch Range. At the facility, the ARTS system checks and verifies whether the user or owner of the satellite can access its information using the AFSCN. During building of a satellite’s communications equipment, users/owners will perform several tests from their clean rooms to EVCF through the ARTS core equipment to verify compatibility with AFSCN or to work out any communications issues they may have with their satellite. 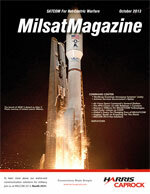 “BEACH ensures satellites to be supported by the Air Force Satellite Control Network are working and compatible before they launch into space,” said Lt. Col. Cary Belmear, 23 SOPS operations officer. McDonald said it is better to fix a problem on a multi-million dollar satellite while on the pad versus waiting for it to get into space. “During launch and post-launch, the EVCF uses the ARTS system to gather data and relay information to the Space Operations Center,” he said. Prior to gaining the capability, 23 SOPS used a transportable vehicle checkout facility received from Vandenberg Air Force Base, Calif, many years ago. The TVCF was cleared for operational use this month by the 22nd Space Operations Squadron at Schriever Air Force Base, Colo. The squadron worked closely with the Space and Missile Systems Center to create checklists and write deficiency reports and helped resolve the issues along the way. Belmear said funding challenges have delayed the project for several years. “While there were certainly many bumps in the road, we are proud that our teams got the job done to everyone’s satisfaction,” he said. McDonald said this project could not have been accomplished if it weren’t for the excellent team work, communication and dedication of Lisa Markel, Staff Sgt. John Bille from 23 SOPS, Ramon Ford from Honeywell, and Jim Cobb, Paul Banks and Bruce Foster from Harris Corporation. Raytheon Company has successfully completed software Iteration 1.5 Critical Design Review (iCDR) for the Global Positioning System (GPS) Next Generation Operational Control System (OCX). 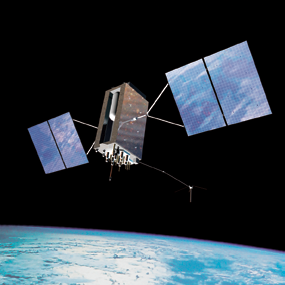 Artistic rendition of the GPS III satellite. Image courtesy of GPS.gov. The Iteration 1.5 software development provides the mission-critical Launch and Checkout System (LCS) software to support the first GPS III satellite launch and serves as the cyber-hardened baseline to which additional capabilities will be added to complete OCX Blocks 1 and 2. LCS, which is a subset of Iteration 1.5, recently completed the third of five GPS III launch readiness exercises in cooperation with the U.S. Air Force Space and Missile Systems Center and Lockheed Martin. LCS recently received Interim Authority To Test certification for one year with no liens, demonstrating that Raytheon meets the Air Force’s high standards for Information Assurance as this critical national system is developed. GPS OCX provides command, control and mission management for the GPS constellation, including the IIR, IIR-M and IIF satellites, as well as the new GPS III satellites, in a system that is protected against current and future cyber threats. OCX enables full navigation messaging on the new L2 and L5 civil signals as well as the new, jam-resistant military signal (M-Code), providing essential new capabilities to military, civil and commercial users worldwide. OCX supports the new L1C civil signal on GPS III satellites to provide interoperability with international global navigation satellite systems, such as Europe’s Galileo. With its built-in automation and compact, efficient, service-oriented architecture, OCX increases operator efficiency, reduces operator requirements, is less expensive to maintain than current GPS control systems, and provides the ability to evolve as the GPS system evolves. Lockheed Martin has powered on the system module of the GOES-R satellite for the first time. Artistic rendition of the GOES-R satellite. Image courtesy of Lockheed Martin. 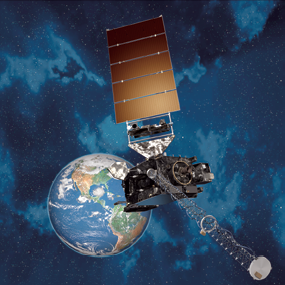 The Geostationary Operational Environmental Satellite–R series (GOES-R) is NOAA’s next geostationary weather satellite. Power-on of the spacecraft’s avionics and major electronic subsystems is a key milestone to delivery of the first satellite. The system module of the A2100-based satellite is being built at Lockheed Martin Space System’s Newtown, Pennsylvania, facility. The system module testing will demonstrate the functionality and integration of three major electrical subsystems, Command and Data Handling, Communication, and Electrical Power. A total of 76 electronic boxes and 12 wiring harnesses were installed in preparation for this power up. Power-on of the spacecraft’s avionics and major electronic subsystems on the systems module is a key milestone to delivery of the first GOES-R satellite. With successful completion of the system module testing, the GOES-R system module will be shipped to Lockheed Martin Space Systems’ Waterton facility near Denver to be integrated with the propulsion module. Once the system module and propulsion module are mated, the spacecraft will move onto the payload integration, functional testing and environmental testing phases of the program. Data from NOAA’s GOES satellites provides accurate real-time weather forecasts and early warning products to NOAA’s National Weather Service and other public and private sectors. The advanced spacecraft and instrument technology on the GOES-R series will vastly improve forecasting quality and timeliness, generating significant benefits to the U.S. and Western Hemisphere. In January 2013, NASA exercised the option for Lockheed Martin to develop two additional GOES R-series satellites, designated T & U, for NOAA bringing the total number of satellites that will be built to four. In addition to the spacecraft, Lockheed Martin is also designing and building the Solar Ultraviolet Imager (SUVI) and the Geostationary Lighting Mapper (GLM) instruments that will each fly aboard the four spacecraft. U.S. Army + USAF—Can You Hear Me Now? For a forward-deployed unit, one of the most critical keys to mission success is the establishment and maintenance of clear communication with leadership. At Joint Task Force-Bravo, the responsibility of establishing that vital communication while in the field falls on the shoulders communication experts such as Staff Sgt. William Lane, U.S. Air Force radio frequency specialist. That one-stop shop capability was tested during a recent disaster response exercise, during which Joint Task Force-Bravo’s Central America Survey and Assessment Team (C-SAT) deployed to Belize. Lane was tasked with setting up communication with the Joint Task Force-Bravo JOC within three hours of arrival in country. He met the deadline with time to spare. U.S. Army Lt. Col. Alan McKewan, JTF-Bravo Army Forces Battalion commander and the team lead for the C-SAT, said the communication piece was critical to the team’s ability to perform in the event of a real-world disaster. The tactical communications capabilities give forward deployed units several alternatives to ensure communication is achieved. “During the exercise, we were able to join the network at JTF-Bravo so everyone could access their files just like if they were in their office back at Soto Cano. We also provided communication via satellite phone, which could be used to call JTF-Bravo or SOUTHCOM, as well as SATCOM radios which would be used to communicate from air to ground and coordinate a medevac or other operation if needed,” said McKewan. The exercise in Belize was built around the scenario of a powerful hurricane making landfall. In that situation, the communication capabilities provided by Joint Task Force-Bravo’s C-SAT are crucial. It’s that life or death difference that service members like Lane make each time they establish communication from a tactical location. But Lane says it’s all in a day’s work. “It’s just about doing the job, ensuring the connection is there and being able to get the word back to everyone and reach back to home station,” he said. The calibration of the Landsat 7 Enhanced Thematic Mapper Plus (ETM+) Band 6 has been updated to correct a bias error that has been present in all thermal data since the last calibration update in 2010. 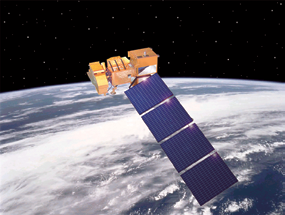 Artistic rendition of the Landsat-7 satellite. Vicarious calibration teams detected a bias error of 0.036 watts per square meter steradian micron (W/(m2 sr µm)) that causes overestimation of top-of-atmosphere temperatures by approximately 0.26 Kelvin (K) at 300K. Calibration parameters within the Calibration Parameter File (CPF) have been adjusted to correct for this bias error. All data processed by USGS/EROS from October 1, 2013 forward will be correctly calibrated within 0.4K at 300K using updated CPF coefficients. Users can correct for the bias error themselves by subtracting 0.036 W/(m2 sr µm) from the top-of-atmosphere radiance product for data products processed between January 1, 2010 and September 30, 2013. The vicarious calibration teams, the Rochester Institute of Technology and the NASA/Jet Propulsion Laboratory, have been collecting field data coincident with the satellite overpass since the ETM+ launched in 1999. Early in the mission, an offset error of 0.31 W/(m2 sr µm) was detected [Barsi, 2003], and subsequently a correction was applied to the processing system in October 2000. Further updates were made in January 2010 [Schott, 2012] to correct a 5.8% gain error. Continued calibration monitoring has revealed that the 2010 calibration update resulted in a small but statistically significant bias error of 0.036 W/(m2 sr µm). The most recent October 2013 update corrects this error by adjusting the shutter view coefficient in the Calibration Parameter File (CPF). The CPF biases were also adjusted for non-default processing conditions, but for most users, the view coefficient is the only parameter that will affect the product. Users should note that with the current distribution system, the downloadable product may not have been processed with the latest CPF. Please check the “Product Creation Time” in the metadata file (MTF) that comes with the downloaded product to ensure that the product is processed after October 1, 2013. Harris Corporation has delivered a system that will help prepare National Oceanic and Atmospheric Administration (NOAA) satellite operators for the new Geostationary Operational Environmental Satellite – R (GOES-R) Series weather satellites. The new Mission Management Capability enables operators to prepare ground-based satellite command and control operations and processes more than two years ahead of the launch of the first GOES-R satellite. A NOAA and NASA team also will use the Harris system to test the command and control procedures with the satellite as it is assembled by mission partner Lockheed Martin. The Harris system consists of hardware, software, and a graphical user interface; the Harris OS/COMET® telemetry, tracking, and command software; as well as tools for customizing mission operations. Harris is the prime contractor and systems integrator for the contract to produce the GOES-R Ground Segment, which will process approximately 40 times more data than is possible today, and deliver weather products to NOAA’s National Weather Service and more than 10,000 other direct users. GOES-R will be a primary tool for detecting and tracking hurricanes and severe weather. Optus has signed a five-year contract with the State Government of Western Australia to deliver an enhanced satellite service through the Optus Aurora Digital Viewer Access Satellite Television (VAST) platform. Under the new agreement, Optus will continue to support the Department of Regional Development and Lands in the carriage of regional television through Westlink. Broadcasting via the Optus Aurora Digital platform, Westlink hosts a range of vital public health and education television broadcast services throughout the state of Western Australia on VAST Channel 602. Optus has been operating the Aurora Digital platform since mid-2010, when the VAST television broadcasters commenced transmission on this platform. The Optus Aurora Digital satellite platform uses the latest MPEG4 and DVB-S2 technologies, providing a more efficient use of bandwidth and a better viewer experience for end-users. Leading broadcasters such as Australian Broadcasting Corporation (ABC), Special Broadcasting Service (SBS), Southern Cross, WIN, GWN7 and Imparja use the Optus Aurora Digital platform to deliver the VAST service. VAST is now available to more than 156,000 households. A SpaceX Falcon 9 rocket was launched from Vandenberg Air Force Base last month carrying aboard CASSIOPE for the Canadian Space Agency (CSA). The satellite is a multi-purpose mission designed to conduct space environment research and telecommunications technology demonstration. Its scientific payload ePOP (enhanced polar outflow probe) will observe the ionosphere and enable scientists to collect new data on space storms in Earth’s upper atmosphere and assess their potential impacts. This was the first time that SpaceX, the Southern California-based private rocket maker, flew the next-generation launch vehicle version that boasts upgraded engines that are designed to improve performance and deliver heavier payloads. CASSIOPE also includes the Cascade technology demonstrator for high speed store and forward information delivery. The communications technology demonstrator payload, entitled Cascade, serves as the second mission payload. Cascade will provide a ‘proof of concept’ design for a high volume store-and-forward data communications operational concept. Like a courier in the sky, Cascade’s operational concept is to pick up very large digital data files and deliver them to almost any destination in the world. CASSIOPE’s hexagonal Smallsat bus platform measures only 180cm long and 125cm high. It is more cost effective to construct and launch several small satellites with different goals than combining all the functionality on one big satellite. In addition to reducing the risk, this means that the satellites achieve their scientific or commercial objectives at a more reasonable cost. The new platform produced for the CASSIOPE mission will also be versatile: it will be possible to adapt and use it for various missions involving science, technology, Earth observation, geologic exploration and information delivery. Artistic rendition of the CASSIOPE satellite. Image courtesy of MDA. Professor Andrew Yau of the University of Calgary directs the ePOP project and a team comprised of researchers and engineers from seven Canadian universities. The Communications Research Center, located in Ottawa, as well as the Institute of Space and Astronautical Science of Japan and the U.S. Naval Research Laboratory are also partners in the project. This science mission was developed as a result of a close collaboration between several key partners including the Canadian Space Agency (CSA), 10 Canadian universities led by the University of Calgary and 2 research organizations, among others. 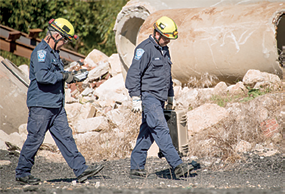 The prototype technology, called Finding Individuals for Disaster and Emergency Response (FINDER), can locate individuals buried as deep as 30 feet (about 9 meters) in crushed materials, hidden behind 20 feet (about 6 meters) of solid concrete, and from a distance of 100 feet (about 30 meters) in open spaces. Developed in conjunction with Homeland Security’s Science and Technology Directorate, FINDER is based on remote-sensing radar technology developed by NASA’s Jet Propulsion Laboratory (JPL) in Pasadena, California, to monitor the location of spacecraft JPL manages for NASA’s Science Mission Directorate in Washington. The technology was demonstrated to the media Wednesday at the DHS’s Virginia Task Force 1 Training Facility in Lorton, Virginia. Media participated in demonstrations that featured the device locating volunteers hiding under heaps of debris. FINDER also will be tested further by the Federal Emergency Management Agency this year and next. The technology works by beaming microwave radar signals into the piles of debris and analyzing the patterns of signals that bounce back. NASA’s Deep Space Network regularly uses similar radar technology to locate spacecraft. A light wave is sent to a spacecraft, and the time it takes for the signal to get back reveals how far away the spacecraft is. This technique is used for science research, too. For example, the Deep Space Network monitors the location of the Cassini mission’s orbit around Saturn to learn about the ringed planet’s internal structure. “Detecting small motions from the victim’s heartbeat and breathing from a distance uses the same kind of signal processing as detecting the small changes in motion of spacecraft like Cassini as it orbits Saturn,” said James Lux, task manager for FINDER at JPL. In disaster scenarios, the use of radar signals can be particularly complex. Earthquakes and tornadoes produce twisted and shattered wreckage, such that any radar signals bouncing back from these piles are tangled and hard to decipher. JPL’s expertise in data processing helped with this challenge. Advanced algorithms isolate the tiny signals from a person’s moving chest by filtering out other signals, such as those from moving trees and animals. Similar technology has potential applications in NASA’s future human missions to space habitats. The astronauts’ vital signs could be monitored without the need for wires. The Deep Space Network, managed by JPL, is an international network of antennas that supports interplanetary spacecraft missions and radio and radar astronomy observations for the exploration of the solar system and the universe. The network also supports selected Earth-orbiting missions. iDirect Government Technologies (iGT), a wholly owned subsidiary of VT iDirect, Inc. (iDirect), has announced that its Evolution® TRANSEC meets Department of Defense (DoD) transmission security (TRANSEC) requirements. “Our nation’s military and government agencies need an efficient, dependable way to transmit voice, video and data that is also secure, and iGT uses TRANSEC to deliver a secure IP-based satellite network,” said John Ratigan, President of iGT. iDirect’s Evolution TRANSEC has been available and in wide distribution since 2010. iDirect recently received FIPS 140-2 Level 1 Validation from NIST for its Evolution hardware and iDX 2.3.1 System Software, and Level 2 hardware. The iGT platform secures VSAT transmissions from interception and exploitation by incorporating encryption inherent in COMSEC; 256 bit, FIPS 140-2 certified AES, while masking traffic types, volumes and acquisition of remote terminals. Through a combination of hardware and software, TRANSEC ensures data blocks are a uniform size. This conceals traffic engineering information, while incorporating x.509 digital certificates to authenticate remote terminals. Adversaries monitoring a TRANSEC-enabled network only see a constant wall of secure data, precluding anyone from monitoring the network and extracting any usable information. Mask Channel Activity iGT masks channel activity by building a “wall of data” by using free slot allocations and creating a uniform size of all TDMA slots. By creating this “wall of data,” iGT negates the risk of using transmission activity as a source of intelligence. 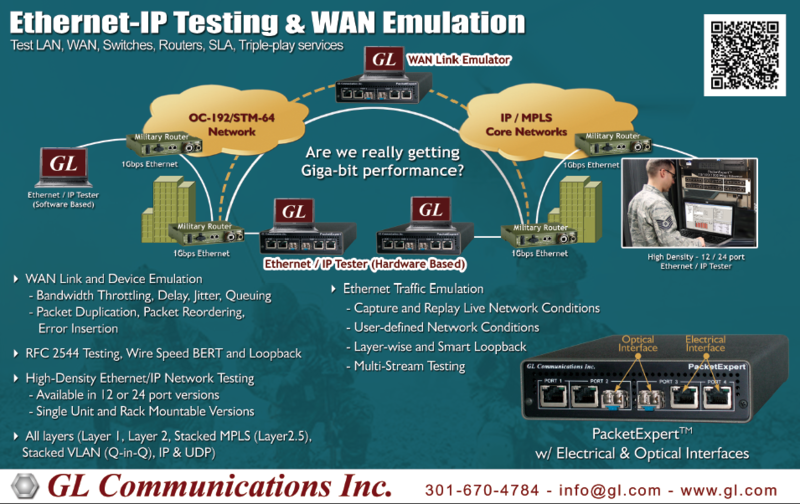 By incorporating FIPS 140-2 certified encryption, 256-bit keyed AES encryption and over-the-air key exchange features, iGT is able to mask the source, destination and volume of data being transmitted.